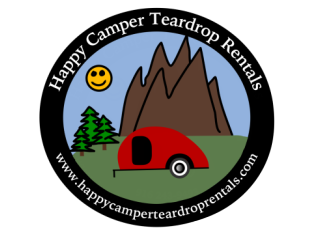 Towing a Happy Camper Teardrop Rental for a Wine Country Vacation is awesome! Visit your favorite wineries, then stay a night or two at Bothe-Napa Valley State Park in Calistoga or Spring Lake Regional Park which is also in the heart of the wine country. Then perhaps travel on to River Bend Resort which is near Korbel Champagne Cellars and Armstrong Redwoods! Guaranteed to be a great time!